An ALS diagnosis is pretty complex to establish, it’s a medical course from which many will be thrown off balance. One or several of these symptoms will lead you to your general practitioner. But after your examination and the potential prescription of a blood test, this is especially your hyper-lively reflexes (which suppose a upper motor neuron irritation and the presence of fasciculations) that will make them send you headed you for a neurologist. After a clinical examination, this will indeed record an upper motor neuron syndrome ; this is a sign that your central nervous system suffers from an important stress. This will direct your neurologist to make you pass the full spectrum of examinations, because the process to establish the ALS diagnostic advances by eliminating non-significant data: first we have to make sure that no other breaches occur. Several different diagnoses exists, i.e. 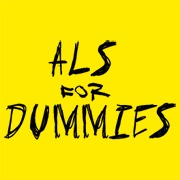 there’s other diseases or breaches with one or several symptoms identical to those of ALS. The medical team has to sort everything out, and this is very time-consuming. And especially difficult for the patient, because (s)he’ll have to live “suspended in the void” while waiting for results. After all these examinations (MRI, lumbar puncture and specific blood work) turn out to be negatives, the neurologist will begin to allude to a motor neuron disease. They rarely pronounce the acronym “ALS” or “Lou Gehrig’s disease” because these both convey too many stressful representations to the patients. The neurologist will make you pass the only test capable of validating the diagnostic: the EMG (for ElectroMyoGraphy). It’s a measurement of the delay of your muscular responses–completely painless. Generally if this test is positive, (s)he won’t tell you immediately. Because of the arduousness of the diagnoses, (s)he will make an hyper-specialist do it. (S)He will have an appointment for you with the referral in your regional ALS center; those are the rules. During the appointment this hyper-specialist (or the member of his/her team) will make you pass another EMG, this time much more accurate. (S)He will solely jab on locations where the disease strikes first, i.e. the anterior tibial muscle, thenar (it’s the muscle between thumb and forefinger), chin and abdomen. If this test is positive again, bingo! you’ve got the jackpot. After you get dressed, they will announce in an awkwardly calm manner that you are now carrier of one of the most redoubtable disease–and your life changes dramatically, just like that. But don’t panic, nothing is insurmountable, you’ll have to face the situation–I’ll come back to this point. Let me speak with you aside about the lack of training in psychology during medical school for the way these kinds of pathologies are being announced, which one can live just like a judicial sentence. From the way the disease is being announced to the patient, the latter can live his/her disease very differently; hence the crucial importance to acknowledge the matter. In this case, it’s both a good & a bad news. Symptoms are indeed present but medicine just can’t give the pathology its name: no name, no treatment. Then again you don’t miss anything life-changing, it’s not with Riluzole or Baclofen that treatment will advance–but I’ll come back to it later. It is time for you to search elsewhere. 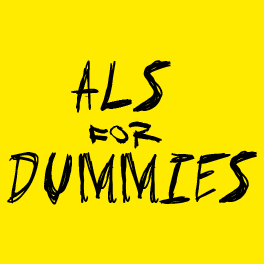 With my modest knowledge there is several differential diagnostics for ALS. When the eventuality of a viral attack is being ruled out (it will disappear as it came, after a couple of months) two cases will have to be meticulously considered (beside the loads of other neurologic impairments that a conscientious neurologist will dismiss). Those 2 cases are: heavy-metal intoxication and Lyme disease. The first case demands that you consult hyper-specialists who will perform pushed examinations related to your professional activities, your environment, and so on. As for Lyme disease, when it manifests itself under its neurological form, it mimics ALS admirably. It’s a very hard infection to identify and to deal with. Both the Elisa & Western-Blots tests are insufficient; and you’ll have to solicit a German or a Belgium laboratory to get the best analysis, particularly if you live in the countryside, because the vector of the dangerous Borrelia is the tick. If tests are positive and that you are affected by a Lyme neuroborreliosis, a colossal antibiotic therapy will have to be set up, intravenously. Finally, if after everything else you still can’t be diagnosed, it is, maybe, a rare disease; that won’t be really that surprising since they tend to appear massively during the last decades. It’s a psychologically wearying course and some of you can really feel like they’re being knocked out. But the game is still playing, no matter what some people say. I don’t imply that some mysterious treatments or healers or miracle diets exist. All I’m saying is the picture that some people paint for our future ain’t of a sheer black color, in reality. PS: I may seem over-critical towards medical staff, but I’m aware that the mentality is actually changing, for the better. As an example, after my days in the ICU, the service has opened visits on larger time slots and provided –at last– rooms with televisions and Internet access. The course remains long but efforts to put the patient in the center of the thinking process are real, and that looks promising to me.